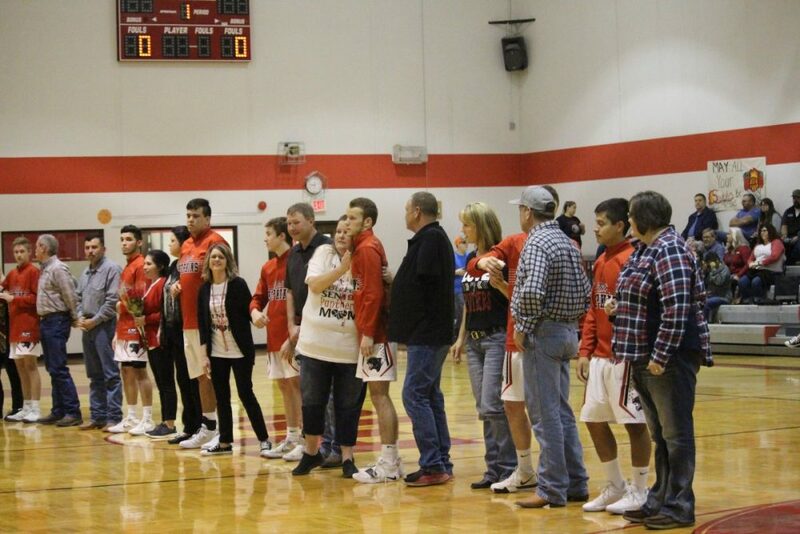 North Hopkins High School held their annual basketball senior night on Tuesday, February 5th. 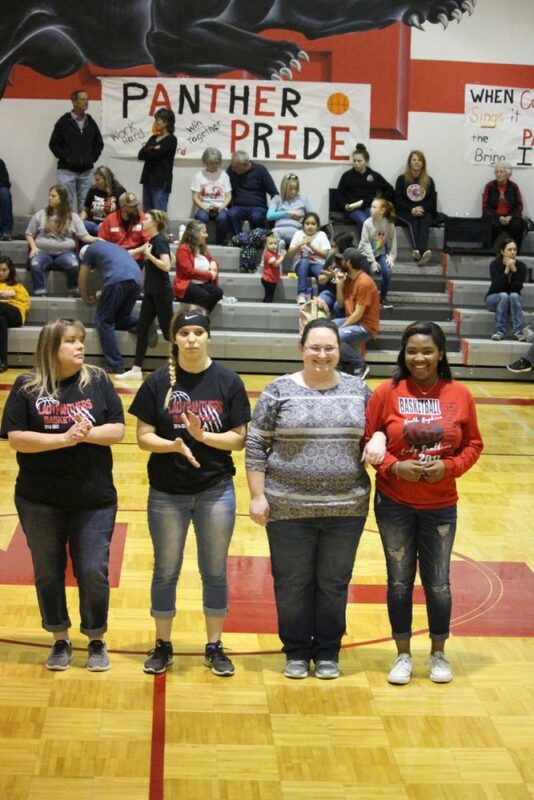 Seniors recognized on the varsity panthers girl basketball team were player Kayla Smith and Manager Kyria Davidson. The North Hopkins boy basketball team recognized players Evan Lewis, Victorino Rojo, Bryson Sims, Caleb Wyatt, Blane Hocutt, Branson Thomas, and Johnny Smith. The JV and Varsity boys played that night against Campbell. The JV Panthers beat the Campbell Indians with the score of 37- 25. The Varsity Panthers too share a victorious win with the score of 61-18.